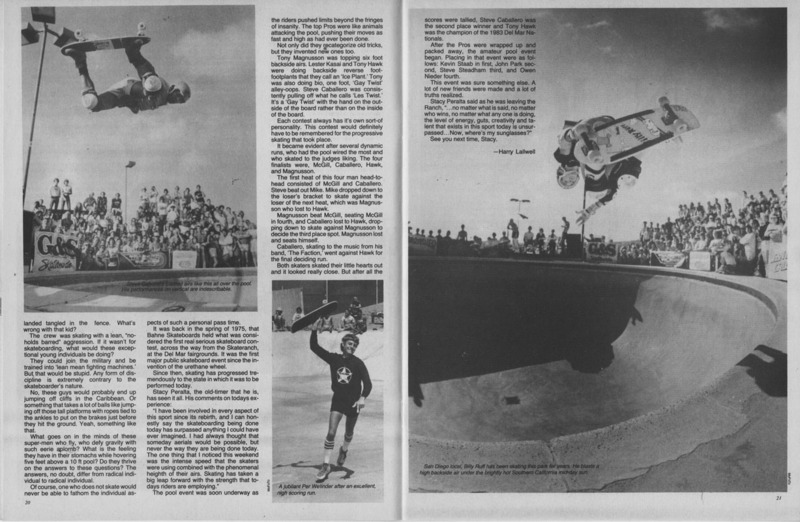 This event took place over a sunny weekend on April 1st to 2nd and was the only professional contest that Rodney Mullen lost, placing 2nd behind Per Welinder. 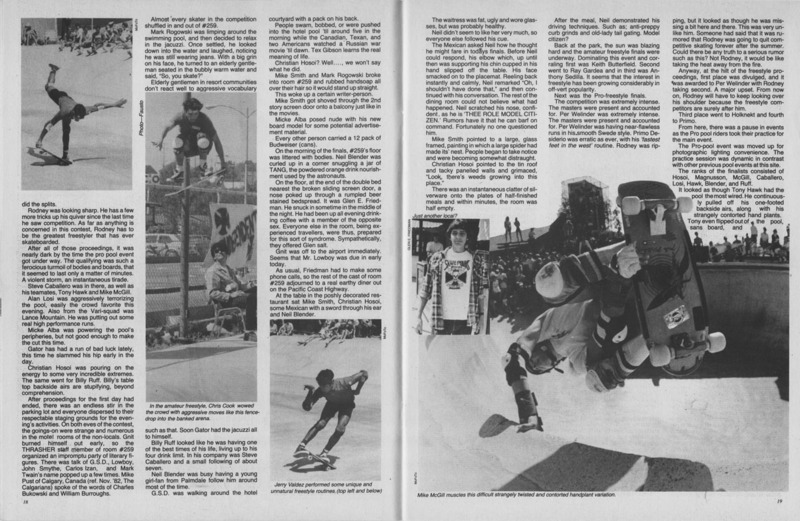 Although their positions are not known, ⁬Leslie Anne Miller, Tony Magnusson, Tony Hawk, Kevin Harris, Stacy Peralta, Jerry Valdez and Chris Cook also competed in this contest. The results were listed differently in Thrasher and Transworld Magazine. The below results are from Transworld; Thrasher listed Per Holknekt in 4th and Primo Desiderio in 3rd in the professional contest, also listing Anthony Sedilla as 3rd in the amateur freestyle.